Since the gut is the largest immunological organ in the body, research has found that certain anticancer drugs work better with prior or concomitant modulation of specific gut microbiome to optimize maximum therapeutic outcome in the treatment of skin and lung cancer in mice. However, this strong interrelationship between the immune system and the host gut microbiota which can determine responses to cancer therapies has not yet been demonstrated in humans, although efforts are made to have ethical clearance to conduct further clinical trials. UNESCO Merck Africa Research Summit – MARS 2017 will be held in Mauritius with the aim to empower Women and Youth in Research under the patronage of the Head of State of The Republic of Mauritius H.E. Ameenah Gurib Fakim.UNESCO-Merck Africa Research Summit- MARS aims to bring together researchers from across Africa to discuss the generation, sharing and dissemination of research data and to prepare for the road ahead in Africa’s development as an international hub for research excellence and scientific innovation.UNESCO-Merck Africa Research Summit – MARS 2017 will have scientific support from UNESCO (United Nations educational, scientific and cultural organization), African Union Scientific, Technical and Research Commission (AU-STRC), the University of Cambridge, UK, University of Rome, and Merck.The annual Summit aims to contribute to building research capacity in the African research community, with special focus on “The Role of Scientific Research in responding to Cancer and Vaccines Development – Two emerging challenge in Africa”. The Summit will also showcase innovative research taking place in projects, programs and initiatives across African universities, and by the wider African research community. 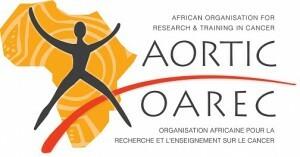 The summit is a unique opportunity for Africa’s young and talented scientists to share their research output and findings with the top echelon of scientists from Africa and abroad. It is also an opportunity for networking and career development. 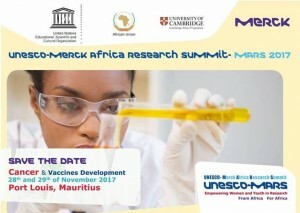 The Summit willpresents a platform where young scientists will be able to discuss the enabling environment for better research among others.On other note the organizing committee will launch the “Best Young African Researcher Award” and the “Best African Woman Researcher Award” to recognize the outstanding contribution of African female scientist with aim to promote women in research and advance their contribution to STEM (Science, Technology, Engineering and Mathematics). Abstracts are invited from final year African PhD students and young investigators involved in research related to both Cancer specially in Women and Vaccines Development. All should be primarily based at African research institutes and Universities, although collaboration within Africa as well as outside is encouraged. All abstracts will be peer reviewed and 100 winners will be eligible for Sponsorship. First three winners will be eligible for further number of Research Awards. Further Research Award will be dedicated for Best African Women Researchers Stay tuned..
Join the Division of Epidemiology and Biostatistics for a panel discussion on the need and future of biostatistics support in the Faculty of Health Sciences. Submissions are welcome – please email: maia.lesosky@uct.ac.za. All are welcome to the seminar. Where: Seminar Room 2, Falmouth Building, Entrance 5, School of Public Health and Family Medicine, Health Sciences Campus, UCT. When: 12:30-13:30, Wednesday, August 23, 2017. At AORTIC, we are currently developing the second edition of our Cancer Network Directory, which aims to map out the resources that are available in Africa in order to help understand the cancer landscape in Africa and promote collaboration in cancer work. If you would like to be included in this directory, please provide us with your contact information by filling out the information card below. We would also appreciate it if you could either forward along this information card or give us the contact information for anyone else who would benefit from being listed. 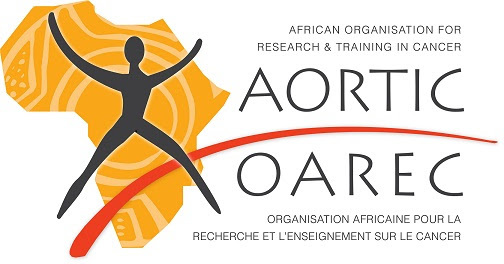 It may be of interest to you that AORTIC is hosting its biannual conference this November in Kigali, Rwanda 7-10 November 2017. The conference will be a great opportunity for multidisciplinary specialists from the global cancer community to present their research, learn about relevant case studies, gain practical skills through workshops, broaden their network connections, and much more. If you are interested in attending, please check out our website for more information: www.aorticconference.org. Postgraduate Cancer Research Initiative (CRI) Opens Door to New Postgraduates! On behalf of Prof. Jennifer Moodley, we would like to extend a cheerful welcome to the new members who have joined the Postgraduate Cancer Research Initiative (CRI). As you are aware, this group was founded in 2015 as “Cancer PhD Mentorship Group” and was only for PhD students. This year, after much discussion, we extended the invitation and membership to MSc students doing cancer-related projects; hence, the name “Postgraduate Cancer Research Initiative”. Therefore, we are delighted to have all the new postgraduate members from different divisions and departments join our group. 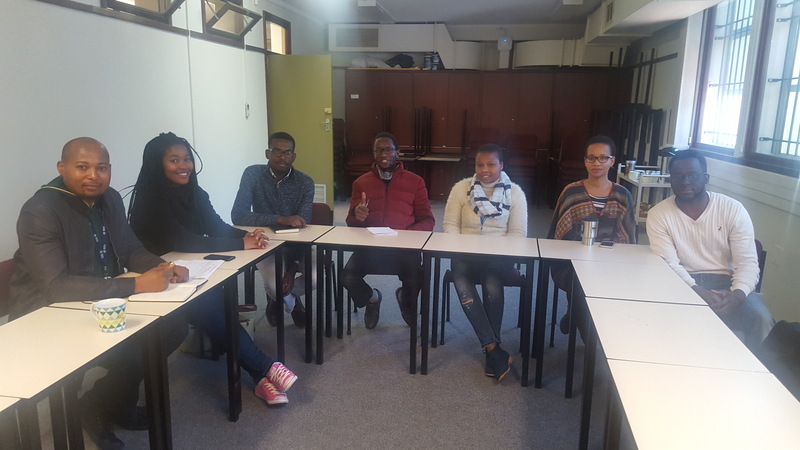 Our main goal is to offer mentorship to postgraduate students, identifying and assisting them in their areas of need in academics and research. It also provides students with the opportunity to share exciting ideas in cancer research. This is not limited to policy implementation, translational research, and any opportunities in the discipline. 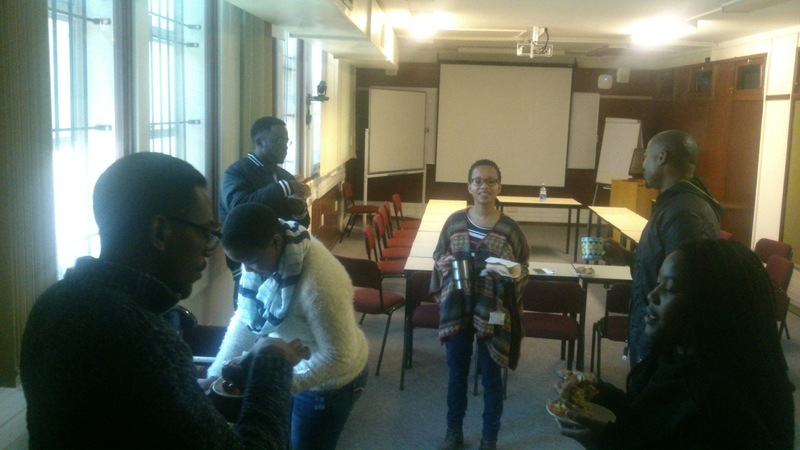 Thanks to all the old and new members who made a huge effort to participate in our first two meetings (7th and 27th July 2017 chaired by Prof. Jennifer Moodley and Dr. Ramadhani Chambuso, respectively). To those that were unable to attend, it is our pleasure to welcome you! From left to right: Ramadhani, Trish, Alltallents, Harris, Ongeziwe, Precious, and Freury. Photographs courtesy of Fleury A. N. Biteghe and Harris Onywera.